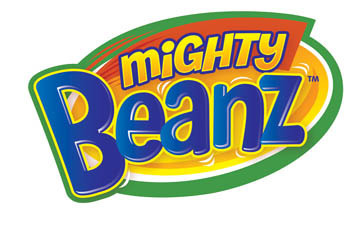 Moose’s Mighty Beanz are cool, collectible toys that kinda look like plastic vitamin pills … except they’re definitely not something you should swallow! 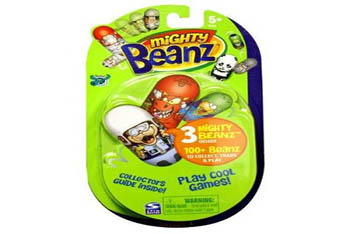 First released in 2002, these beany characters move and wobble in crazy, often unpredictable ways – after all, they’re modeled on Mexican Jumping Beans. Now they’re being re-launched in 2010 – and this time around they’ve got some pretty cool accessories to go with them! 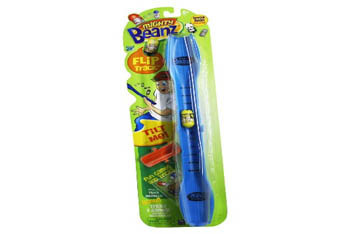 The Mighty Beanz Flip Track is a cool new way to get even more fun and thrills from the most talked about toy in town. Use the portable Flip Track to play tons of cool games and perform some pretty awesome tricks (the toy comes with a mini instruction booklet that can show you how). Each Flip Track comes with an exclusive bean, an obstacle and, like we said, a track booklet. Do you have any collections? Let us know in the Comments section below! Who Swapped a Cow for Magic Beans? Jack Spriggins was the one.